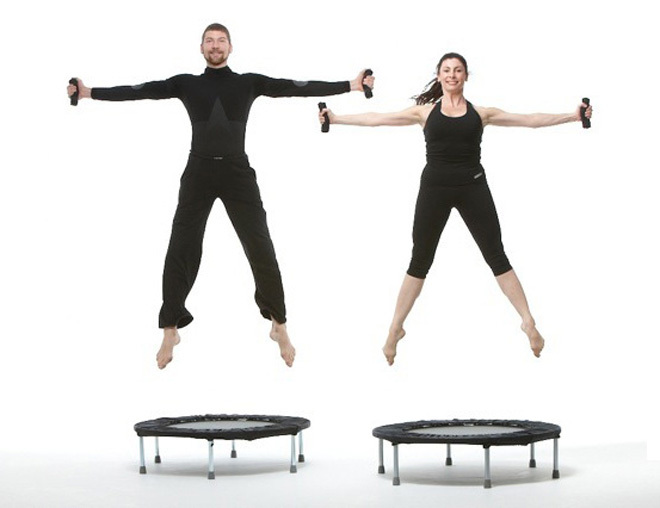 Because rebounding combines the forces of acceleration, deceleration and gravity, every cell of the body is stimulated and strengthened at the bottom of the bounce. Your body receives roughly double the gravitational force at the bottom of the bounce, and up to 3-4 times the force if you’re jumping high. Yet, because the mat absorbs 87% of the shock, rebounding does not have the negative jarring impact on the joints. rebounding to be 68% more efficient than running.